HARRISBURG, Pa. (AP) — A threat reporting system now required for all Pennsylvania schools fielded more than 4,900 tips in its first month, about a third of them considered serious enough to pass along to local police and school officials. The goal of the Safe 2 Say Something program, which funnels tips to an around-the-clock call center at the attorney general’s headquarters in Harrisburg, is to respond to troubling behavior, unsafe school situations and anything else tipsters deems appropriate to report. The program passed the Legislature with near unanimity last year, mandating it encompass all K-12 students in Pennsylvania, including charter, private and vocational-technical schools. Sen. Scott Martin, a prime backer of the new law, has been encouraged by the volume of tips so far. “I think, in itself, that justifies why we need to do this and why it’s important,” said Martin, R-Lancaster. The reports come in through phone calls, by email and via an app. Callers are assured of anonymity. In the first month, nearly 1,400 contacts were deemed “life safety” tips, considered important enough to notify schools and the local 911 center. Attorney General Josh Shapiro told lawmakers at a hearing last week those tips have included suicide threats and situations where students may have hurt others without intervention. Other common subjects of calls include harassment, bullying and mental health issues, Shapiro’s office said. There have been more than 415 incidents of gunfire on U.S. school grounds since 2013, according to Every Town for Gun Safety, a nonprofit aimed at reducing domestic gun violence. 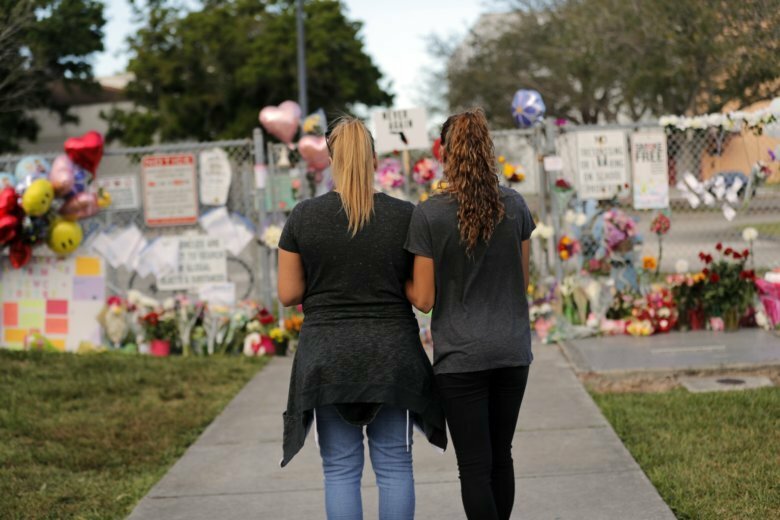 Last year’s carnage at Marjory Stoneman Douglas High School in Parkland, Florida, that left 17 dead surpassed the 1999 Columbine High School massacre as the deadliest high school shooting in U.S. history. The program, which is in part a response to the frequency of mass shootings in America, is mandated in four other states and about a dozen others are at least considering starting their own version, according to Tim Makris, managing director of Sandy Hook Promise. The nonprofit has provided technical help, support for training and equipment to help get Pennsylvania’s program up and running. Pennsylvania is the first state to do a comprehensive launch of the program, training schools, students, 911 operators and the team that fields calls at the attorney general’s office, Makris said. The attorney general’s office says 3,800 schools are already involved. About 85 percent of all K-12 schools are currently participating, including nearly all of the state’s 500 public school districts. Each district is supposed to set up a group of three to five people who can respond to the tips, the majority coming in through the app and online, Makris said. The goal is “to teach kids and the adults around them how to identify and intervene around individuals who may be at risk of hurting themselves or others through words, through actions, through weapons,” Makris said. In Philadelphia, the state’s largest public school district, the roll-out is just getting underway and training is expected to be complete by mid-March, spokeswoman Megan Lello said. Lawmakers appropriated about $600,000 to operate the program through June, when the fiscal year ends, and Shapiro wants to double that figure for the full 2019-20 budget year. So far, the call center has hired eight analysts and two supervisors. The program is exempt from the state’s open records laws and guarantees confidentiality. But prosecutors and criminal defendants can request records of tips — with the tipster’s name redacted — leaving the decision about providing those records to a judge who first must review the record in private. Making a false report under the Safe 2 Say Something program is a misdemeanor criminal offense. The false report rate is currently less than 1 percent, roughly the same frequency as the national average for such school threat reporting systems, the attorney general’s office said. Shapiro’s office must produce a report every year, by Aug. 1, that includes the total calls for the year and for the lifetime of the program, how the calls were received, calls broken down by school entity and the cost. The attorney general’s office also must disclose the number of false reports.